Man, that was was hell of a party, last night, wasn't it? SureFlap is the brand, and their blog is here. 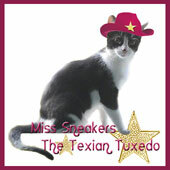 Mascot Newton contributes, and one post discusses his new Microchip! 3. A website about Veterinarian Colleges has a blog that has gone thru the trouble of listing, and discussing, what they call "The Top 45 Animal Advocacy Blogs", and a few on the list deal specifically with Cats, while many of the others deal with other animals as well as Cats. 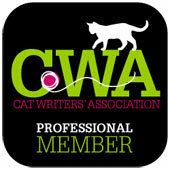 The 31 Top Cat Care Blogs, with a Bonus List of what they call The Top 9 Cat Blogs. Daisy, Fat Eric, and Sparkle, make the list, and it is my hope to someday have my efforts, here, earn me such recognition. 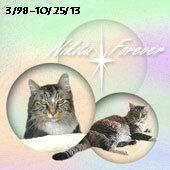 Vicky Thrasher lives in the Central Valley of California, and is a columnist with a passion for Animals. Her post is a wonderful essay about "Falling in love for the third time". 12. The Happy Cat Family has a question: "Are we Normal?" Has your meowmy (or meowdad) ever been called abnormal for having too many fur-kids? If so, how did she/he react, and what was her/his response to that comment? So now meowmy wants to hear - are we a normal family?" OK, gang, someone needs some re-asssurance, so go hold their hands, and paws! 13. 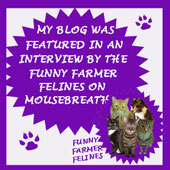 Patti Lecron writes the blog A French Education, and loves Cats. This post is about THE CAT'S PAJAMAS . 15. 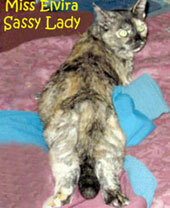 Over at Life From a Cat's Perspective...See Samantha, & Clementine, relaxing! 16. 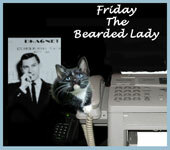 Elvira shares the 3 part tale of how we got the new batch of Kitty Cubes. Which is kind of weird! Great roundup for the week, Nikita. You are a great reepurrter, managing a heck of a party, and a great Carnival, at the same time. We sure had a good time, too.